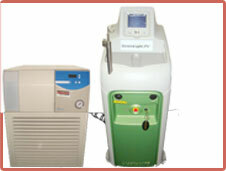 Benign enlargement for Prostate is treated by Green Light PVP laser (KTP Laser). There is no bleeding and the patients are discharged on the same day. The catheter may be kept for just a few hours. If the patient is on anticoagulants (blood thinning medicines) e.g. after coronary stenting; the KTP Laser procedure can be done without stopping anticoagulants.